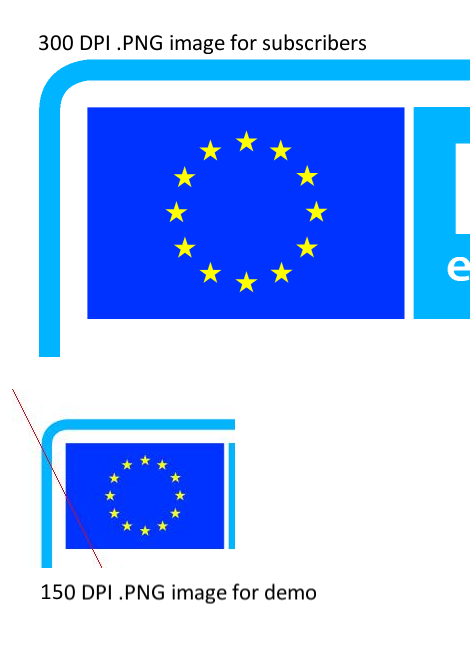 What DPI for Eu Energy Labels? "The label shall be at least 110 mm wide and 220 mm high. Where the label is printed in a larger format, its content must nevertheless remain proportionate to the specifications above." Clearly if you increased the size of the label you'd have to increase the number of pixels in order to retain the 300 DPI. Our software will create the right sized image for you automatically. You may, for very high quality goods, decide that you want the label printed at 600 DPI. Again, with a special custom request, the software can do all the calculations for you and create the correctly sized image. 8.661 inches at 300 DPI is 8.661*300 = 2599.